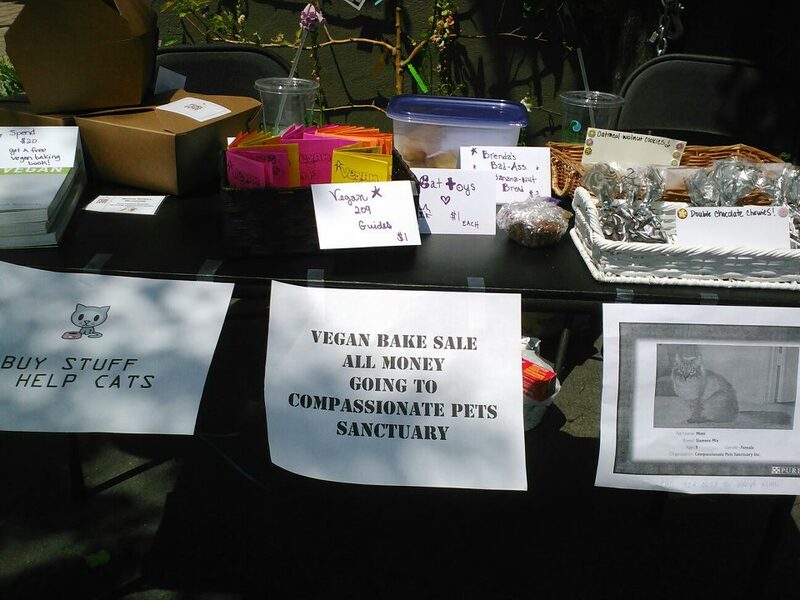 I am bad - I only snapped this one picture from the vegan bake sale I organized on Saturday! Good news is we raised over $200 dollars to help cats in need! People came out and picked up cookies, blondies, hazelnut-chocolate pillow puffs, banana-nut bread and more. We even got to Greens Market to have lots of vegan options ready for customers in the hot case! It was a nice sunny day- and I got a little to much sun! I will be back at it again next year!